30 ton overhead crane is the lifting equipment that is mainly used in the warehouses, workshops, factories, ports, and other working places. In addition, it is also the most widely used lifting appliance in the mechanical industry, metallurgical industry and chemical industry. In the modern industrial process, it is one of the important equipment which reaches the mechanization and automation of the production process. 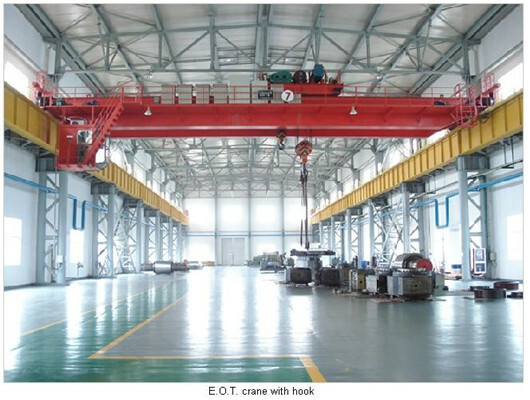 The overhead crane not only reduces the heavy physical labor, but also improves the production efficiency. Generally speaking, if the customers want to buy our lifting equipment, we can provide you with reasonable suggestions about the corresponding 30 ton overhead crane. The client should choose the correct matching motor of bridge crane. They should pay attention to the size and type of it and the product shouldn’t be large or small. 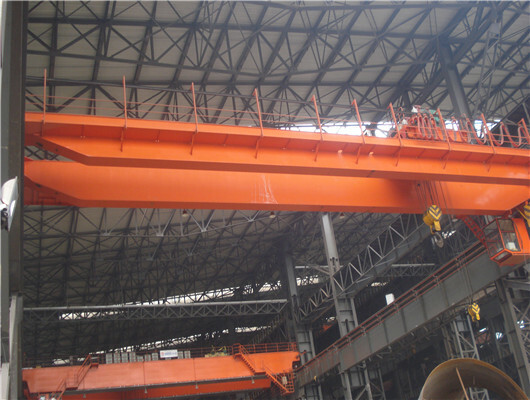 After choosing the right one, the customer should focus on the load capacity and load carrying capacity of corresponding overhead cranes that are indeed calculated, which ensures enough pressure on the track surface. If you have special need, we can make non-design standard to meet your requirement. Weihua is a comprehensive manufacturing industry of lifting equipment with several decades of development. Our company covers a wide range of related cranes. It has become one of the leading manufacturers and suppliers in construction machinery in China. At the same time, we have a wealth of experience about crane design and development, as well as a professional R&D team that has a great influence on the construction machinery industry. The product equips with high-quality core components and has the stable performance. In addition, we can provide the customers with reliable and worry-free service, which not only saves customers on maintenance costs, but also improves materials handling efficiency. If the customers want to order or purchase our products, please contact us quickly. We can give reasonable advice for our clients. 30 ton European hoist overhead crane is the lifting equipment that belongs to the the new generation crane. It has many advantages of low noise, light weight, beautiful exterior, easy operation, and strong performance. It is very popular. The crane is your best choice to material handing in various working sites. The 30 ton overhead crane is mainly composed of bridge, crab travelling and trolley travelling mechanisms, electric hoist and crane hook. Generally speaking, the standard travelling speed of the trolley travelling mechanism is 3 to 30 m/min with frequency conversion. Compared with the trolley standard speed, the standard travelling speed of crab travelling mechanism is 2 to 20 m/min with frequency conversion. Besides the standard speed of trolley and crab, there are a variety of speeds that can meet the customer’s requirement. In addition, the operation can be divided into the three types of ground control, remote controller, and driver’s controlling room. You can choose the one, two methods, or more among them. If you want to increase other details or special requirements, you can get in touch with us. We will spare no effort to help you. The product is mainly composed of box bridge, travelling gear of crane, trolley travelling mechanism and crab travelling mechanism and electrical devices. 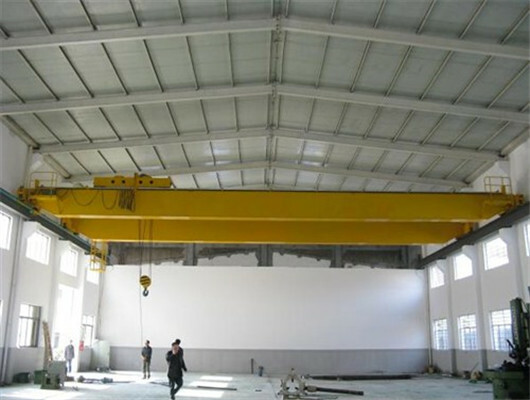 QY type insulating overhead crane with hook is suitable for the smelting workshops where it can smelt electrolytic nonferrous metal material, such as electrolytic aluminum, magnesium, zinc, etc. In order to ensure safety and reliability, we design the dual tractor which is equipped with the main mechanism for loading and unloading goods. There are some electric currents of energized equipment which threaten driver’s and operator’s life, as well as equipment’s safety, so we install some insulating apparatus in entire crane to avoid that the currents contact with the workers in operation process. In addition, we install the driver’s controlling room. If you want to prevent the electric current and have the good vision, you can make all the tasks finish in the cabin. It can can work in various working sites. If you want to add other devices, you can choose the remote and help you quickly operate the production process. If you have special needs, you can contact us, we will make non-design product to meet the uses’ requirements. We make the customer and product’ quality first. The product has a high lifting height, which actually increases the effective working space of the existing operation sites. 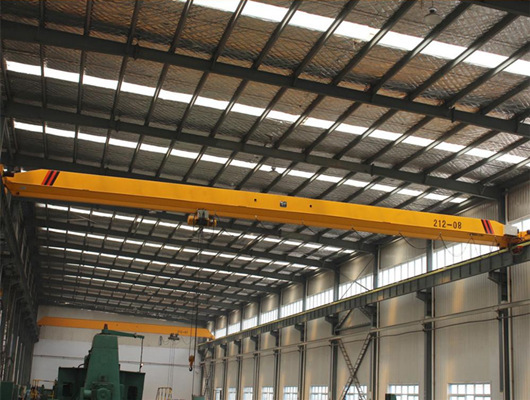 After the constant improvement, our company’s 30 ton overhead crane has many outstanding advantages of light weight, low noise and delicate operation. According to the reasonable structure of the crane, the product can be designed with smaller and more complete functions. As a result, it can reduce the total costs. On the basis of the original crane, our experts abandon some of the cumbersome equipment and install some safety devices. So, our products adopt some international advanced technologies to improve the crane’s working ability. If you want to buy our 30 ton overhead crane, no matter what it is small order or lager order, we will give the reasonable discount. The 30-ton bridge cranes are used for lifting, transporting, loading, unloading and installation of materials. It can complete material handling tasks that cannot be accomplished by human labor, which lightens workers’ manual labor and increases labor productivity. In addition, the product has been widely used in factories, working plants, ports, construction sites and other fields. With the increasing scale of production, especially for the demands of modernization and specialized production, 30 ton overhead crane can meet the various special-purpose requirements. In many important sectors, it not only is an important lifting equipment in the production process, but also has become an indispensable production appliance in construction machinery. In the construction of high-rise buildings, metallurgy, chemical plants, and power plants, there is an increasing number of projects which should be loaded and unloaded. Therefore, some working tasks need some large 30 ton cranes which must be used for lifting materials and special operation sites. Weihua is a professional lifting equipment company and has more than 10-year experience. We not only pay attention development of various overhead cranes, but also focus on the quality and service of lifting product. Currently, we have been delivered to more than 60 countries and regions. We can provide you all over the world with a variety of overhead cranes. If you want to learn more details and specific information, please call or email us. We have the excellent service. If you have spare time, you can visit our factory in China.